My passionate goal is to provide even the most anxious of patients with the most pleasant dental experience possible. 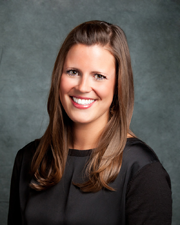 Dr. Kelsey Milbert grew up in Cold Spring, MN, graduating from ROCORI High School in 2003. She attended Gustavus Adolphus College from 2003 to 2007, completing her undergraduate studies with a major in biology. She received her Doctor of Dental Surgery degree at the University of Minnesota Dental School in May of 2012. Voted on by the dental school clinical faculty, upon graduation she was given the Park Dental "Quality Care in a Caring Manner" Award. Belief in staying current with all of the latest advances in dentistry, Dr. Milbert is a member of several professional organizations. She is an active member of the Minnesota Dental Association (MDA) and the American Dental Association (ADA) as well as the St. Cloud Dental Society and the Great River Study Club. 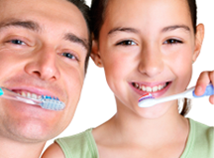 Dr. Milbert loves all aspects of general dentistry and working with patients of all ages. She prides herself in striving for pain-free, top quality dentistry. Outside of the dental clinic, Dr. Milbert enjoys travel, reading, boating and water activities, and spending time with friends, family, and dog, Ruby. Maintain a beautiful, healthy smile that lasts a lifetime.